A: For most people the largest investment they make will be their land or home. Home purchasers should have a survey completed of their property to be sure they are buying what was represented. This will ensure there are no encroachments present or eliminate the chance for encroachments in the future. Surveys are needed in most towns & cities when obtaining a building permit for an addition or new construction, when wetlands exist on or near a property and improvements are proposed or may be needed for design purposes when extreme grade changes are present. A survey may also be needed when there is a property line disagreement or any time property owners wish to move a boundary line. Q: How soon can you begin the survey? A: At Marsh & Long Surveying, Inc. we have multiple field crews and office staff. We have the latest in field and office equipment including GPS & Robotic instruments. We have the ability to run several field crews at any given time & can generally begin a project within a matter of days of completing a contract. Q: Are there different types of surveys? A: Yes there are boundary surveys, topographical surveys, route surveys, construction surveys, wetland surveys and more. One of the most important things you can do is to give the surveyor all the information you can about what you are trying to accomplish. This will help in determining what type or types of survey you need. Q: Why are you surveying way down the road? A: When performing a survey, verification of your property corners, which may have been lost or destroyed, is done by locating other property corners and monuments and examining their location in relation to your corners and also their relationship to recorded deeds, plats and original monuments. 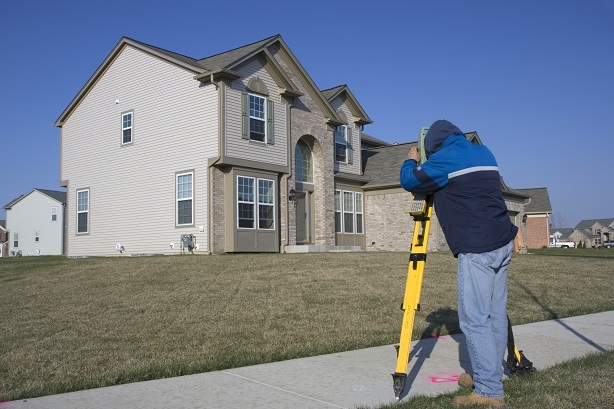 Surveyors in most areas are also required to tie their surveys to reference points that may exist several properties away. A: Generally no two surveys are exactly the same. Many factors affect the cost including the scope of the services required, the size of the parcel, the terrain, foliage, the quality of the recorded documents and existing monuments in the field. It is extremely important to let your surveyor know exactly what you expect of the final product from the beginning. Q: Can I have only one lot line surveyed? A: Once the surveyor has done the required record research, found and located the controlling monuments and performed the calculations necessary to relate this control to your property, he has established where the property corners belong. At this point most of the field work is complete. The physical act of installing the monuments, whether it is one side of your property or the entire parcel may save a minimal amount of money but not much in relation to the benefit you would get from surveying the entire parcel.